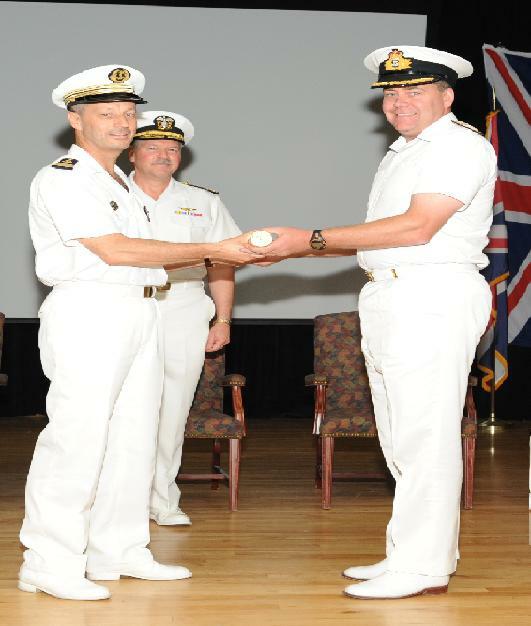 BAHRAIN – The United Kingdom assumed command of Combined Task Force 150 (CTF-150) 31 July 2011. 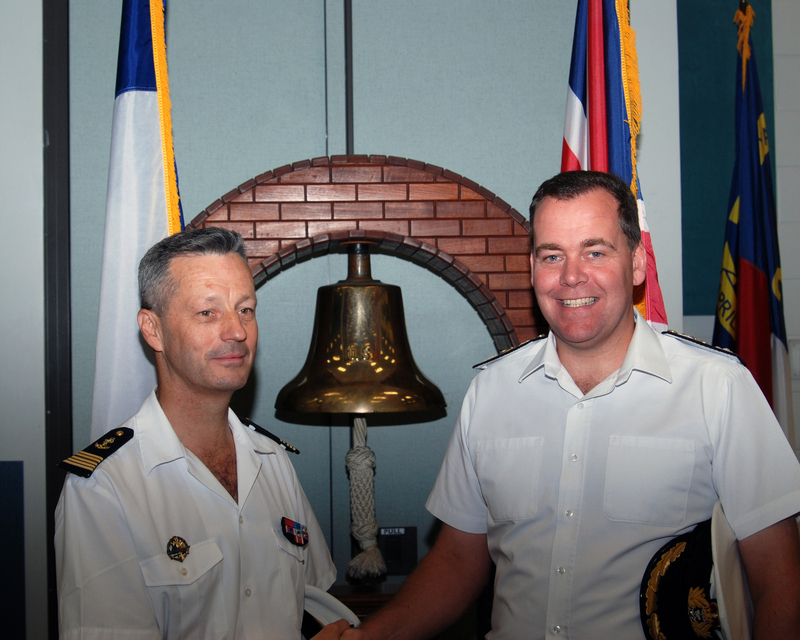 Captain Jean-Baptiste Dupuis of the French Navy was relieved by Commodore John Clink of the Royal Navy at a formal ceremony in NSA Bahrain, home of the United States 5thFleet and of the Combined Maritime Forces. Its principal mission is to deter, disrupt and defeat attempts by International Terrorist Organisations (ITOs) to use the maritime environment as a venue for an attack or as a means to transport personnel, weapons and other materials. It does this by conducting Maritime Security Operations (MSO). CTF-150 vessels also assist mariners in distress and undertake humanitarian work as required. CTF 150 is a multinational task force. Participatory nations have included: Australia, Canada, Denmark, France, Germany, Italy, Republic of Korea, Netherlands, New Zealand, Pakistan, Portugal, Singapore, Spain, and Turkey, the United Kingdom and the U.S.